this weekend a buddy gave me the head's up regarding this petition to president elect obama. the petition is an impassioned plea to bring the troops home from iraq NOW. 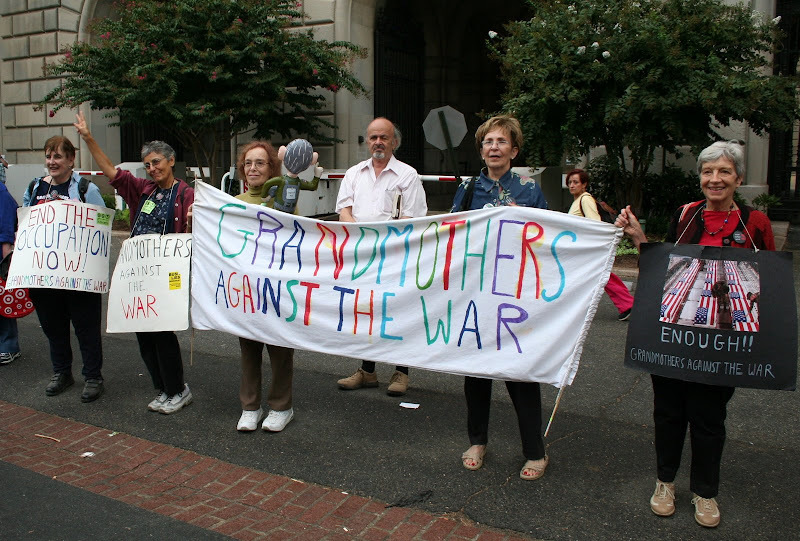 thanks and kudos to joan the anti-war granny who started the petition! yes, iraq did have a tyrannical dictator, but there are plenty of those to go around. bottom line is the united states invaded a sovereign country based on a parcel of lies, greed and a thirst for oil...these are all terribly wrong reasons to wage war, invade a country and be an occupying force -- then, unrelatedly but associatedly there is the whole issue of the COST of the war. in these time of economic crisis and turmoil is it really wise to be spending so much money when our country is going down the economic tubes? photo: march on washington, september 2005. I laughed so much when I saw the 1998 version of 96 tears. The lead singer looks like a relative of a guy named Sophie who lives here in Graulhet, and wears designer knock-offs of lady's clothes. He has the most fabulous collection of handbags and neck scarves any woman could ever dream of. (I had a vision of Sophie doing '96 tears' on Graulhet's Pont Vieux. It was a ... stunning sight. Enough already with the war-- nice to see protesters from that group. Did you see Bush nearly get hit with shoes? The intervening three decades have not been kind to ? or the Mysterions. The 1998 video is just weird.